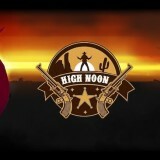 part from Red Dead and Lucas Art’s Outlaws developers seem to struggle making a really good western themed game. Can this wave shooter turn the tide? High Noon VR falls solidly in to the wave shooter camp. A camp that is, by a quick count up, very crowded indeed. Third person shooters in VR seem to have latched on to the wave shooter. With good reason I might add as it offers a good introduction to VR and keeps things relatively simple to boot. 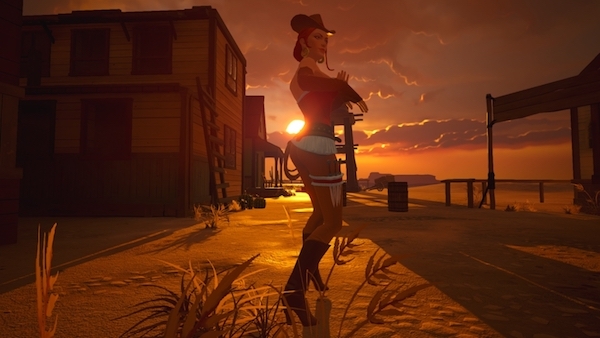 High Noon VR comes from Russian developers Octobox and puts you in the shoes of a sheriff in the Wild West times. Gameplay is simple, stand and shoot the baddies quicker than they can shoot/bomb you. Wave after wave of enemy fill the screen from behind doors, barrels, crates etc… you get the idea. 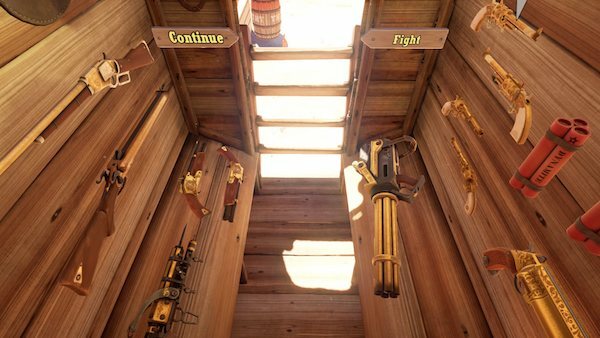 You have varying weapons at your disposal from a trusty six-shooter all the way up to a gatling gun. You start off with a single weapon that you purchase from the store, then as you play through the campaign portion of the game you earn dollars that you can spend on bigger and better weapons. You can also duel wield – this is especially satisfying with dual-wielded six shooters for that authentic OK Corral feeling. 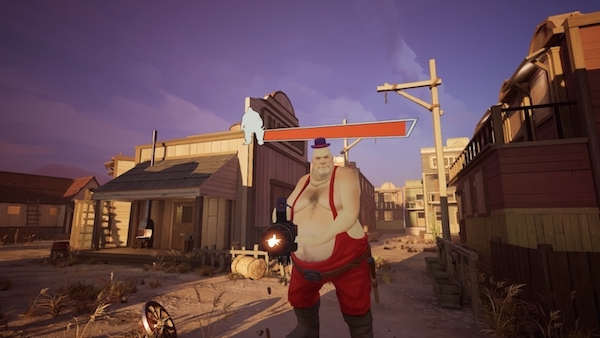 High Noon VR looks great. Large, colourful, and smoothly animated this is a step above most indie VR releases that sit in this genre. That said some of the designs are a little wrote – for instance the gun wielding boudoir ladies in their frilly outfits are a little unnecessary and caused an audible groan/eye roll from me whilst playing. Control wise it all flows well, shooting with the Rift Touch controllers is smooth, intuitive and accurate offering a shooting gallery far less complicated that Doom VFR, RoboRecall etc. That said the lack of variety and sometimes workman-like level design can begin to grate on you after an extended play. 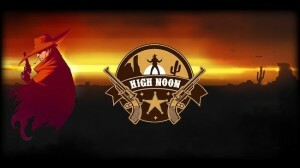 High Noon VR is a very competent VR wave based shooter. Nothing more, nothing less. In a market that is crowded with them this game will struggle to truly push itself above the crowd. Good looks, a passable narrator and solid mechanics will carry this title so far but it lacks anything to push it to the front of the pack. If you’re looking for a game that does something different or pushes the genre/style in a new or interesting way then you’re in the wrong place. If you want a perfectly good wave shooter that will help you pass an hour or so then High Noon VR is as good a place as any to get those kicks and a cut above the middle of the pack in regards to quality of presentation.